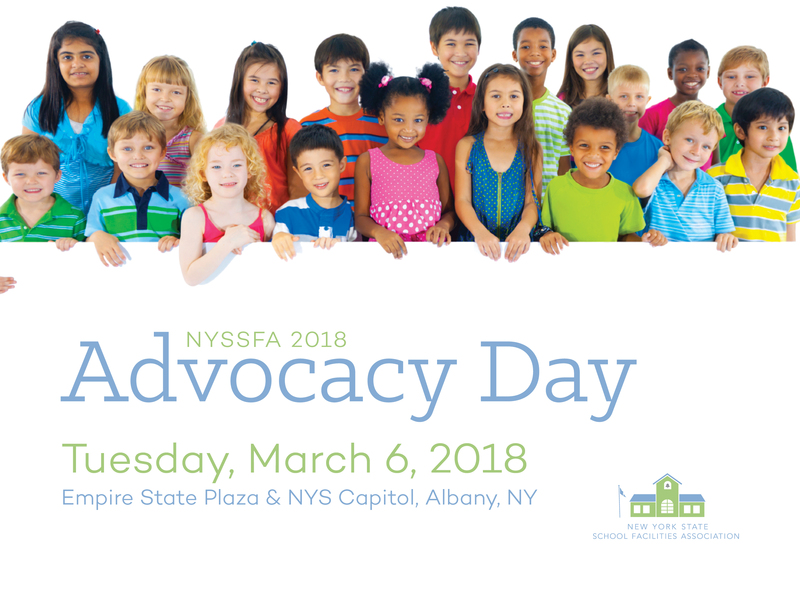 Support your school facilities at the SFA Advocacy Day, Tuesday, March 6, 2018 in Albany, NY. Make your voice heard! Join leaders from the New York State School Facilities Association on Tuesday, March 6 to advocate for school facilities! Each year the NYSSFA leadership joins our Legislative representatives at Hinman Straub to meet with New York State Legislators to educate them on the issues that are affecting our schools. Take this opportunity to support school facilities in NYS. Legislators need to hear a unified message from our members!